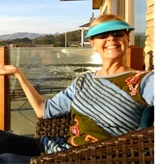 I have personally experienced Deborah Kagans “Ignite Your MOJO” presentation and her “Rock Your MOJO Women’s Weekend and I highly, HIGHLY, recommend attending her upcoming Women’s Weekend October 12-14, 2018. 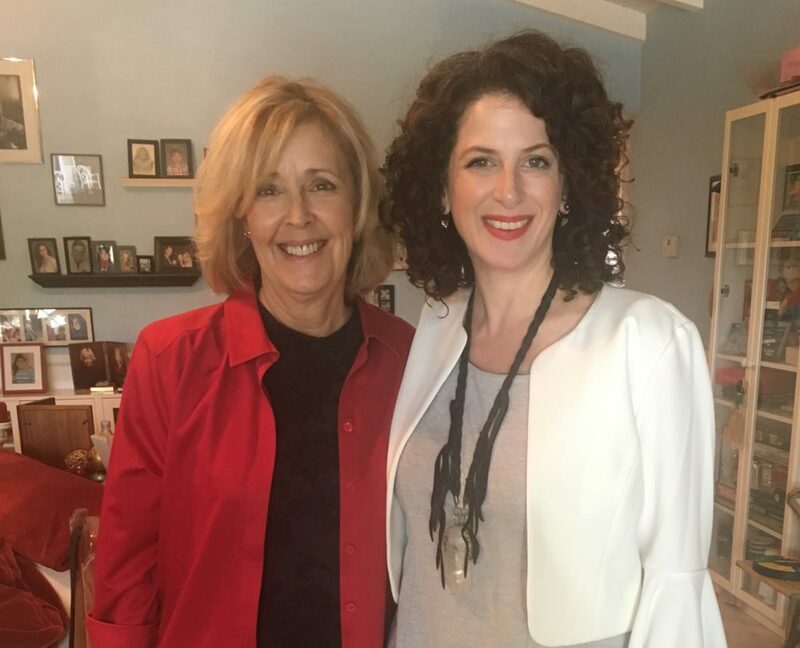 Deborah Kagan, in my humble opinion, is simply one of the very best facilitators and you will love her and all the amazing energy, inspiration and MOJO she shares with you. Even the most productive and dynamic women go through times when they find it hard to get motivated. Even if you find just one special kernel of truth that profoundly resonates with you that will help guide you, then the weekend is so worth doing. I found it with Deborah and it has help me. 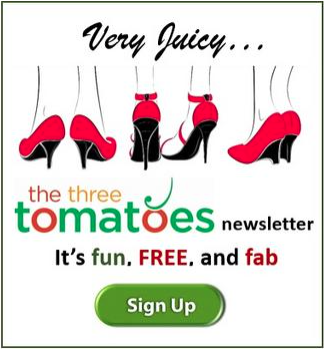 And now Deborah Kagan is generously extending an irresistible, jaw-dropping discount deal to The Three Tomatoes community for her October “Rock Your MOJO Women’s Weekend LA“. A whole weekend for an incredible price just for Tomatoes. It’s easy and it’s affordable. 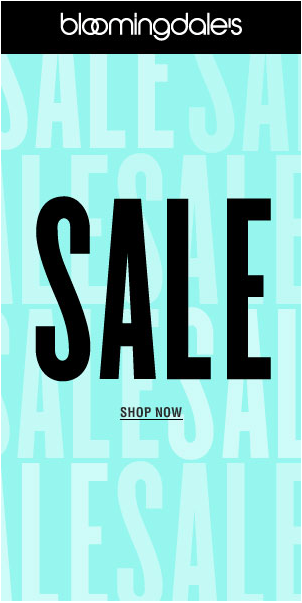 Hurry, this offer expires October 11. 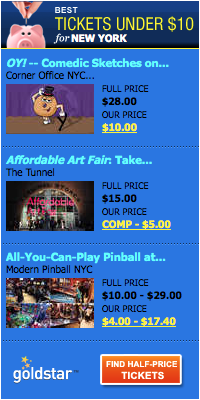 Get $400 Off Your Registration: Deadline October 11th. Deborah Kagan truly is a very gifted inspirational speaker, a powerful energizer and motivator who is clearly on a mission to help all women conquer their fears, look them square in the face, throw them on the ground, wrestle with them, get scratched up and STILL come out on top…loving their “mojolicious” empowered selves. She graces all the fab women in the room with her elegant, dynamic and inspirational presence. And now you can experience that up close and personal as well. 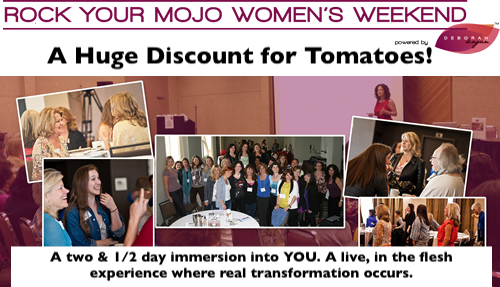 The Rock Your MOJO Women’s Weekend LA www.RockYourMojoWomensWeekend.com, for 2 1/2 days, is a deal at the regular price, but now, Tomatoes can have it all for just $297! You deserve it! So, check it out ladies.